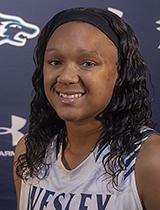 ASTON, Pa. – The Wesley College women's basketball team was defeated by the Neumann Knights on Wednesday, 62-46 in Atlantic East Conference action. 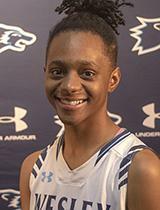 SherVohnia Tolson (Dover) led Wesley's rebounding effort in the game with a career-high 10 rebounds. She added six points in 27 minutes of action. Monshea Newsome-Murray (Seaford) tallied 14 points, six rebounds, five steals and three assists. Katelyn Watson also recorded six points and six boards while Stacey O'Neale and Paige Hailstock each chipped in with five points. Hailstock pulled down four rebounds and O'Neale stole the ball three times. 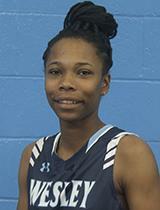 Lekeshia Brown-Myrick (Mt Pleasant) and Sydney Pedersen (Cape Henlopen) scored four points respectively. Jameshia Baker reeled in four rebounds. Nafisa Sanders had a game-high 22 points for Neumann. Wesley will be back in action on Saturday when they hit the road to take on the Immaculata Mighty Macs in a conference matchup. The game is scheduled to tip off at 1 p.m.